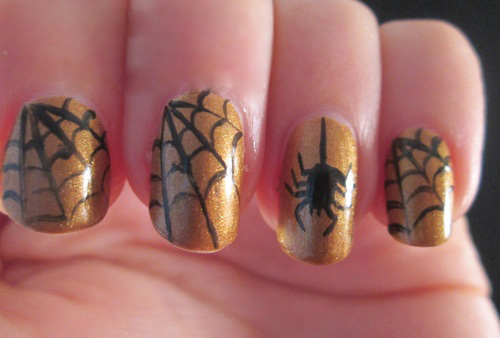 Spider Web Nail Art Designs would make your nails look extremely funky. The easy way to make a nail design of this sort is to first paint your nail with a color for the base, for example black. Use another contrasting color to make both the colors equally visible, like white. Now take a very thin brush and put an oblique stroke across the nail. Then make two more strokes one to the left and one to the right of the first stroke. 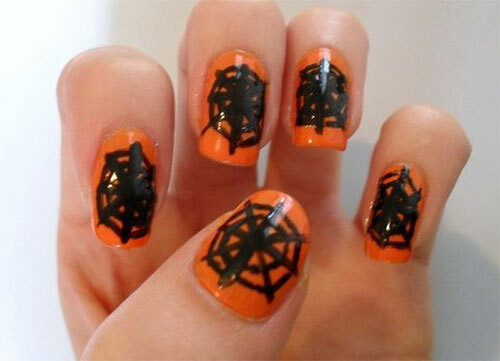 Make convex semi circles in between the strokes and fill the entire nail that way, that’ll perfectly make your nail art look like a spider web. 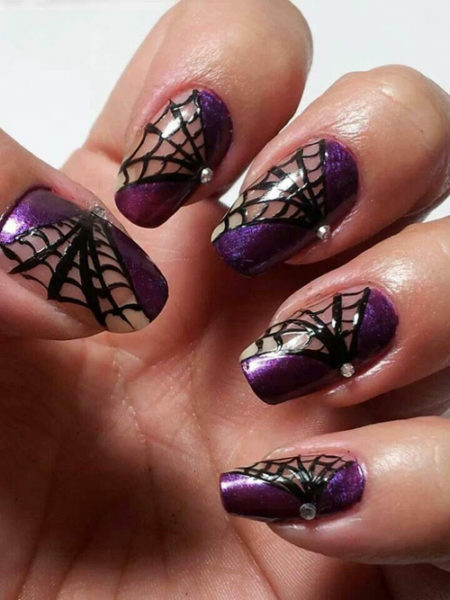 To make your spider web art a little more attractive, you could simply use glittered nail paint, which shouldn’t be very dark. First put the base color as the glittered nail paint, or put it and then put glossy sparkled nail paint as coat. Then make strokes with a darker color and make convex semi circles throughout the nails just like the previous one. To make it more unique leave one finger to be painted differently and draw a spider on it. First draw an oval shape in the middle of the nail then make eight legs of the spider, and the fangs with strokes of the black brush. Red, black and white are three gorgeous colors which complement each other really well with. Just paint the upper half of your nails with red as the base and keep the other half empty, or add glossy nail paint or you could even paint it white. 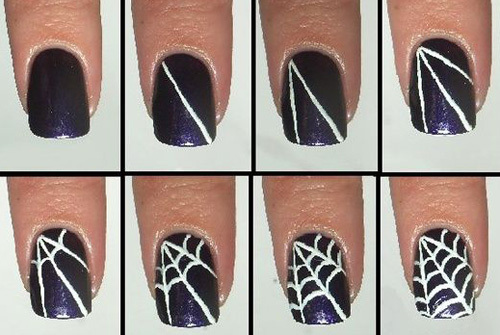 Then draw spider webs in black with oblique and convex shaped and you’re done with a beautiful nail art design. If you need to get some classy nail art for a party you need to paint your nails exactly how you see the picture below. Take similar shiny grey colored nail paint and paint your nails. Take a black brush and stroke the nails from one corner of your nail and maintain the parallel gaps in between. Keep one nail grey and shiny, which would give it uniqueness. If you’re tired with similar looking nail arts, try something different. Just get little portion from the edges of your nails painted navy blue or black, except for one nail which you would want to give a little extra importance to. Paint the nail entirely with the dark color and leave the rest as it is. 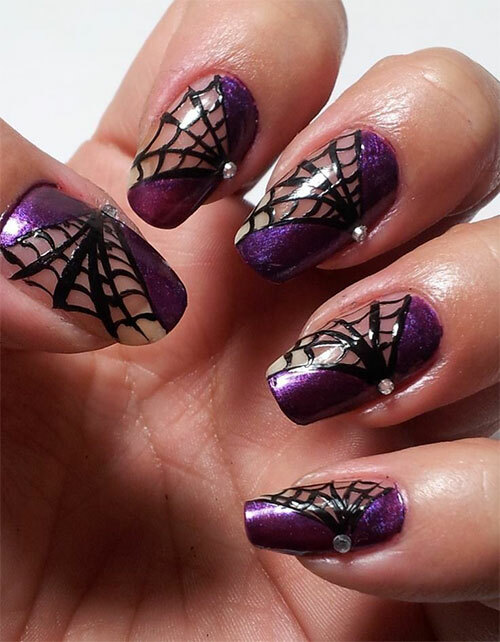 Take the thinnest brush available for nail arts, and paint a spider web across that nail with similar strokes from one corner and the convex designs to make it look like a web. Add little spots at the end of strokes and you’re done. First stroke two lines and make a V shape from one side which should be the middle of the nails, and draw two or three more lines in between, according to the space and make the web prominent with the semi circles just as usual. Just like the cropped picture below. Then paint the rest of the nail on both the sides with a dark glitter nail paint which makes it look unusual. To add on to your nail art, give it a finishing touch with a small sparkly stud just as you can see, to make the center of the spider web little more prominent. 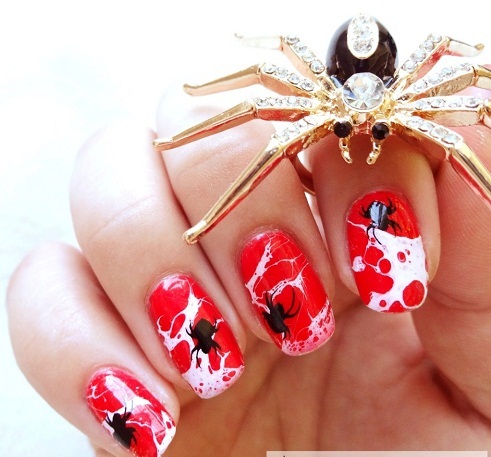 The effortless way of making a web nail art is to just buy stickers of web (if they are available) and spiders and stick them on a neat and clean base of a plain nail color. 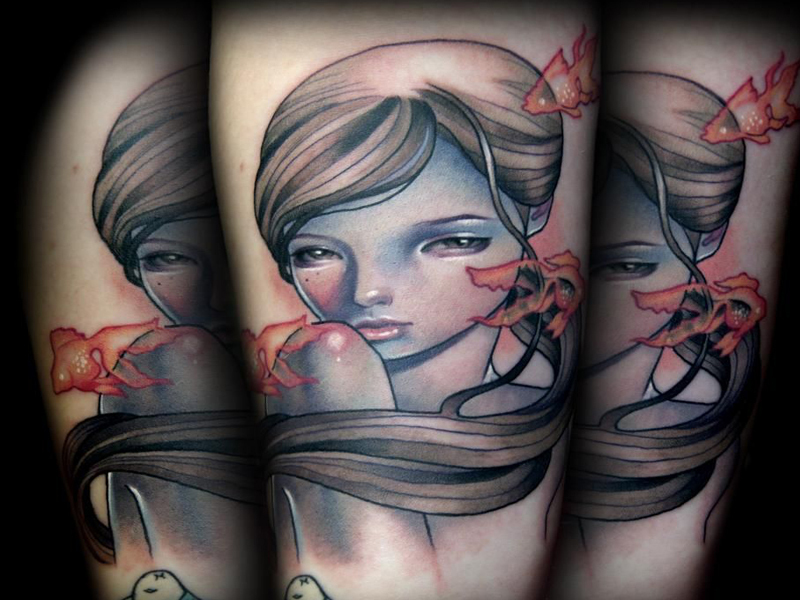 Images Source: 1, 2, 3, 4, 5, 6, 7.